HOUSTON, TEXAS (May 29, 2018) After downing New York City FC by the score of 3-1 at BBVA Compass Stadium on Friday evening, the Houston Dynamo prepare to hit the road for two games. On Wednesday, May 30, the Dynamo, who are currently in fifth place in the Western Conference of Major League with 18 points, will face Real Salt Lake at Rio Tinto Stadium with an 8:30 p.m. CDT start. Real Salt Lake is coming off a 1-0 win over Seattle on Saturday, May 26. Following the Real Salt Lake game, the Dynamo will travel to Montreal to take on the Impact on Saturday, June 2, who are in tenth place in the Eastern Conference with nine points. The Dynamo are 5-3-3 in 2017 and have struggled on the road. They are 1-1-3 when away from BBVA Compass Stadium with all their draws coming on the road. This is a hurdle they need to overcome if they are going to continue to get three points per game and rise in the conference standings. Wednesday will be the first time this season Houston has faced Real Salt Lake. The May 26 game will also be the first time they have played Montreal in 2018. With their win over NYCFC this past Friday, the Dynamo posted their first back-to-back win this season and extended their unbeaten streak to four games. In addition, they achieved two straight games where they had come-from-behind wins and marked their first win over New York City in program history. 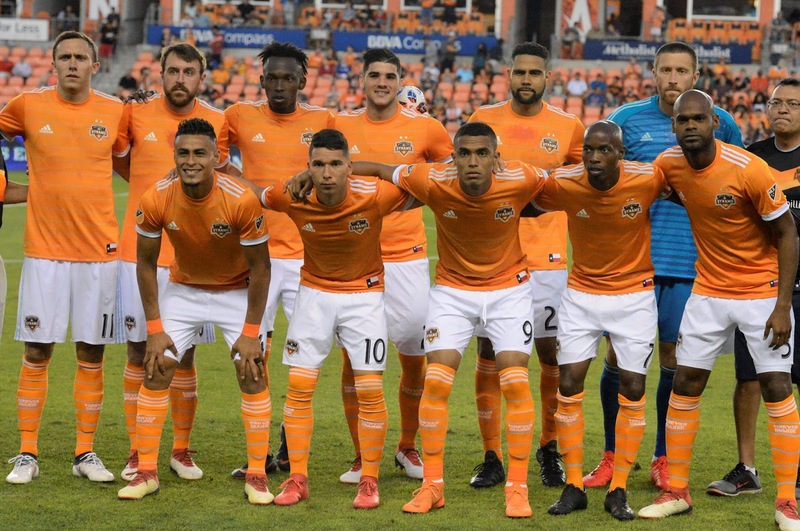 The win was head coach Wilmer Cabrera's 27th victory in Major League Soccer and his 18th win as the Dynamo head coach. SUGAR LAND, TEXAS (May 29, 2018) HBU junior first baseman Grant Buck and senior catcher Jake Pulcheon were named to the Southland Conference Baseball All-Tournament Team, following Saturday's championship at Constellation Field. Buck hit safely in all five games, hitting .474, going 9-for-19 with two home runs, seven RBIs and five runs. In Wednesday's first-round win over Central Arkansas, the Carlsbad, California, native went 3-for-3 with two home runs, five RBIs and scored four times. Pulcheon hit .278, going 5-for-18 with two home runs, a double, four RBIs and scored four runs. The Menifee, California, native went 2-for-4 with a game-tying three-run home run in the Huskies victory that eliminated top-seeded Sam Houston State Friday. He also homered in Saturday's semifinal loss to New Orleans. HOUSTON, TEXAS (May 27, 2018) The 4,000-plus soccer fan who braved the Texas heat and humidity on Memorial Day Weekend witnessed Rachel Daly (shown left) score two goals as the Houston Dash won their second home game in a row in downing the Washington Spirit by the score of 3-2 at BBVA Compass Stadium. The Spirit cut the Dash lead in half in the 54th minute when Estefania Banini drilled the ball from the front of the post for the score. It was the first goal of 2018 for the Argentinian. Daly added her second goal 22 minutes later off an assist by Thembi Kgatlana. The two goals were the first multi-goal game as a professional for Daly. Houston head coach Vera Pauw was forced to rearrange her lineup due to two injuries on Sunday evening when Kristie Mewis left the game in the 19th minute with a left knee injury. Prior to the start of the game, Pauw pulled Kyah Simon from the starting lineup when she experienced tightness in her groin during warm-ups. Houston returns to BBVA Compass Stadium on Sunday, May 3 at 5:30 p.m. to host the first place North Carolina Courage for their second meeting of the regular season. SUGAR LAND, TEXAS (May 25, 2018) In a game that lasted four and one-half hours and 12 innings, the Houston Baptist University Huskies secured a 4-3 win over the New Orleans Privateers to stay alive in the Southland Conference Baseball Tournament at Constellation Field. With the bases loaded in the bottom of the 12th inning, left fielder Spencer Halloran was hit by a pitch and walked; allowing the winning run to score. After the fourth inning the score was tied at one, with HBU adding two runs in the fifth. New Orleans evened the score at three in the eighth. HBU designated hitter Jake Scott went 4-for-6 with one run while right fielder Matt Heck was 2-for-5 with one run. For the Privateers, catcher Beau Bratton was 2-for-4 with one run. They used seven pitchers in the losing effort, with Christopher DeMayo receiving the loss in one inning of work. Closer JT Newton pitched 4-1 innings in relief got the win, his third of the season. The Huskies and Privateers will meet again on Saturday, May 26 at 1 p.m. with the winner advancing to the championship game at 6 p.m.
HOUSTON, TEXAS (May 24, 2018) In a stunning change of events, the Houston Dash (shown right) snatched victory from the jaws of defeat on Wednesday night at BBVA Compass Stadium in Houston, Texas. Second half goals from Kristi Mews and Veronica Latsko lifted Houston to 2-1 win and its first franchise victory over the Seattle Reign. The win was also the first of the season at home in 2018. Houston trailed 1-0 in the 68th minute when Rachel Daly delivered a set piece to the back post finding Kristi Mewis. The Hanson, Massachusetts native headed down the Daly service inside the near post stunning a Seattle Reign side that had control of the match and had won 10 straight against the Houston side. The equalizer came after a flurry of activity that saw Houston begin to assert themselves a little more slowly as the match went along. Houston was determined to get more than just a point in the first of four consecutive home games. After withstanding a flurry of attempts by Seattle (seven shots in the final seven minutes), the Dash countered with the game winning attack. After Megan Rapinoe’s deflected effort clang off the first post, Houston was off and running in the first minute of second half stoppage time. Thembi Kgatlana, who subbed on in the 75th minute gathered in the clearance just on the Seattle side midfield. Racing down the left side, the South African international headed towards the top of the 18 where she drew the defenders away from an onrushing Veronica Latsko (46’). The Houston Dash forward turned a perfectly weighted pass into a one time right-footed blast that banged off the inside of the far post and into the net giving Houston a 2-1 lead. Bethany Yanez had given Seattle the early lead with a goal in the 13th minute but Houston would not be denied their second stoppage time win in the team’s last five outings. Houston with the win moved to within two spots of the fourth playoff berth just 10 games into the season. The Dash, unbeaten in four of their last five outings, return to action on Sunday May 27th at BBVA Compass Stadium hosting the Washington Spirit at 7 p.m.
SUGAR LAND, TEXAS (May 23, 2018) No. 8 New Orleans (shown right) tied the score at three in the eighth inning and scored the go-a-head run in the tenth to down No. 1 Sam Houston State by the score of 4-3 in day one action at the Southland Conference Baseball Tournament at Constellation Field. The Privateers became the first team since 2015 to be a No. 8 seed and upset the top seed. New Orleans scored the first run of the game when center fielder Orynn Veillon connected for a double to deep left field to score right fielder Pearce Howard from first base. The Bearkats responded in the bottom of the inning with two runs on hits by first baseman Hunter Hearn and right fielder Clayton Harp; scoring designated hitter Blake Chisolm and Hearn. They added their third run in the sixth, to increase their lead. Then with two outs in the top of the eight inning, Howard got a double and Veillon walked. Catcher Beau Bratton came to the plate and hit a triple down the right field line, scoring Howard and Veillon, to take a 4-3 lead; and the game. Veillon and Howard both went 2-for-4 with two runs while Bratton was 2-for-5. John Barr, seeing two innings in relief, received hios sixth win of the season, with Brad Demco, pitching one inning is relief received the loss. The Privateers will face the winner of No. 4 Houston Baptist University and No. 5 Central Arkansas, while Sam Houston will play the loser. SUGAR LAND, TEXAS (May 23, 2018) The 2018 Southland Conference Baseball Tournament kicked off on Wednesday, May 23 at Constellation Field with four games in the four day tournament. Game one saw No. 3 Northwestern State Demons and No. 6 McNeese State Cowboys taking the field, with No. 4 Southeastern Louisiana Lions facing No. 7 Nicholls Colonels in game two. In game one, the Demons downed the Cowboys by the score of 2-1 while the Lions took a 4-2 win over the Colonels. Southeastern Louisiana and Northwestern State will face off at 9 a.m. on Thursday, May 24 in the winners side of the bracket while McNeese State and Nicholls will at 4 p.m. with the loser heading home. Rounding out Wednesday evening's game is a 4 p.m. game pitting No. 1 San Houston State and No. 8 New Orleans. The night cap will see No. 4 Houston Baptist taking on No. 5 Central Arkansas. SUGAR LAND, TEXAS (May 19, 2018) Paced by a grand slam home run by right fielder Kyle Kubitza, the Sugar Land Skeeters (13-7) downed the Southern Maryland Blue Crabs (7-12) by the score of 10-4 at Constellation Field in Sugar Land, Texas on Saturday,May 19, 2018). The win pushed the Skeeters record for the home stand to 4-2 against the Blue Crabs. The Blue Crabs jumped put out to a 2-0 lead in the top of the first innings with second baseman Johnny Bladel scoring on a throwing error by Sugar Land first baseman Matt Chavez. First baseman Devon Rodriguez secured the Southern Maryland second run off a single by left fielder Ryan Strausborger. They added an additional run in the second inning to take the score to 3-0 after nine outs. The Skeeters came back in the bottom of the inning, when left fielder Courtney Hawkins knocked a solid hit down the third base line, scoring third baseman Albert Cordero and second baseman Anthony Giansanti from third and second base, respectively. Sugar Land added two more run in the third inning to take a 4-3 lead. The Blue Crabs responded with an additional run in the top of the fourth to tie the score at four. Then Kubitza connected for his base-clearing hit over the left center field wall and into the play land. The round tripper was his second home run of the season and pushed his RBI total to 17 for 2018. The Skeeters added two insurance runs, on a hit by Hawkins in the seventh inning, and a hit by first baseman Matt Chavez, in the eighth, to close out the scoring for the night. Hawkins currently leads the Atlantic League in both RBI, with 26, and home runs (six). The current series ends on Sunday, May 20 with a 2:05 p.m. CDT start. The Skeeters will begin a six-game road series on Tuesday, May 22 against the Somerset Patriots and the New Britain Bees before returning on May 29 to host the Long Island Ducks. 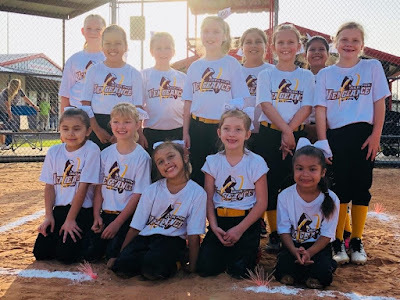 SPLENDORA, TEXAS (May 12, 2018) The Deer Park Vengeance 8U Softball Team kicked off the 2018 summer all-star season with two wins and one loss at the All-Star District Tournament on Saturday, May 12, 2018 in Splendora, Texas. In their first game of the tournament, Vengeance downed Conroe Crush by the score of 7-5. They followed up with a 10-5 win over East Montgomery County Texans before dropping an 11-10 heart-breaker to the Conroe Crush. In the three games, Vengeance tallied 44 hits for a team batting average of .657. The also combined for 31 singles, nine doubles, and two triples. All 13 players on the all-star roster connected for hits with 12 scoring runs. Offensively, the All-Stars were led by third baseman Gaby Sanchez, right fielder Chloe Willis, rover Emilee Mendoza, and left fielder Cambrie Johnson with five hits each, followed by shortstop Morgan Meredith and flex Reyna Calzonzint with four each, and flex Brooke Sawyer, pitcher Mikayla Garza, and center fielder Raleigh Gil with three each. Two hits each were added by catcher Kirstin Kelly, second baseman Madison Jones, first baseman MerrieAnne Minor while flex Marissa Vasquez added one. Garza led the Vengeance with five RBI, with Johnson and Garza both scoring four times, with Garza and Calzonzint adding triples and Sanchez connecting for a solo home run. Kelly, while behind the plate, had two tags at home and one pop-up foul caught for outs. As a result of their individual play, Garza was selected by the game officials as the Most Valuable Player against the Crush and Texans. In addition, Minor was selected as the game MVP in the second game against the Crush. The Vengeance will continue tournament play on Sunday, May 13 against the Deer Park Dynasty with a 9:20 a.m. first pitch, and are coached by Abel Mendoza, Leah Jones, Tim Willis, Larry King, Dale Yurt and John Sawyer. SUGAR LAND, TEXAS (May 12, 2018) The Sugar Land Skeeters announced today that the New York Yankees have purchased the contract of infielder Rey Navarro. The Yankees have yet to announce what level Navarro will report to. Navarro becomes the second member of the 2018 Skeeters team to have their contract purchased by an MLB organization. Left-hander Paco Rodriguez had his contract purchased by the Minnesota Twins on May 2. Navarro, 28, signed with the Skeeters prior to Tuesday’s game against the Lancaster Barnstormers. He became the first player in Skeeters history to hit two home runs in his debut on May 8, with the two home runs also coming in his first two at-bats. In three games with the Skeeters, Navarro went 6-for-11 with two doubles, two home runs and three RBIs. The Arizona Diamondbacks selected Navarro in the third round of the 2007 MLB Draft out of the Puerto Rico Baseball Academy. He made his Major League debut with the Baltimore Orioles in 2015 and hit .276 with a home run and three RBIs in 10 games, which has accounted for all of his MLB service time. Navarro began the 2018 season with Triple-A Tacoma (Seattle Mariners) and was released by the organization on April 27. In 1,152 career Minor League games, Navarro has a slash line of .265/.313/.374 with 61 home runs and 486 RBIs. He spent four seasons in the Diamondbacks organization (2007-10), four in the Kansas City Royals organization (2010-13), one in the Cincinnati Reds organization (2014), one in the Orioles organization (2015), two in the Los Angeles Angels organization (2016-17) and one in the Mariners organization (2018). 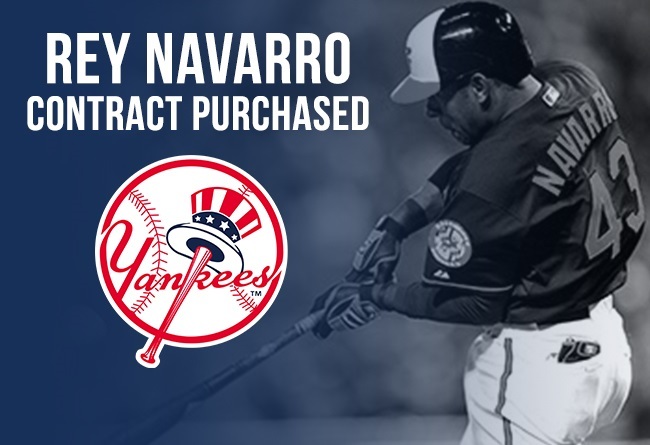 Navarro was a Midwest League All-Star in 2009 with Single-A South Bend (Arizona), a Carolina League All-Star in 2011 with High-A Wilmington (Kansas City) and a Southern League All-Star in 2014 with Double-A Pensacola (Cincinnati). PASADENA, TEXAS (May 11, 2018) TexSport Publications is proud to announce that they are the official broadcast and media outlet for the Deer Park 8U Vengeance All-Star Softball Team. TexSport Publications will cover and report on the Vengeance during the 2018 summer all-star softball season and broadcast all their home games and selected road games. The live broadcasts will be available on Facebook Live and on their YouTube Live channel, with Robert Kelly handling the play-by-play duties and Darla Tamulitis providing the color commentary. The long-time media duo also broadcast the Deer Park 8U Cougars games during the 2018 spring season league games in the Deer Park Girl's Softball League. HOUSTON, TEXAS (May 9, 2018) With a header by defender Janine van Wyk in the 81st minute, the Houston Dynamo protected their draw as they tied the Portland Thorns FC 1-1 at BBVA Compass Stadium in Houston on Wednesday evening. Portland got on the scoreboard first when forward Ana-Maria Crnogorcevic took a pass from captain Christine Sinclair in the 25th minute, and right-footer the ball from outside the box to the bottom right corner for the first goal of the game. The score was the first of the season for the Swiss native and the third assist for Sinclair. The Dash will play their third match in an eight-day span on Saturday when they travel to Chicago to take on the Red Stars at Toyota Park. That match is slated for a 7 p.m. CDT kickoff and will be streamed live on the go90 app and online at NWSLsoccer.com. SUGAR LAND, TEXAS (May 5, 2018) Catcher Derek Norris went 3-for-4 with three RBI as the Sugar Land Skeeters dropped their first game of the season to the Somerset Patriots at Constellation Field in Sugar Land. Both teams tallied 10 hits in the 7-6 loss, with Sugar Land dropping to 7-1 for the season. Right hander Konner Wade, pitching 1.1 inning in relief received the loss. The series will continue on Sunday, May 6 with a 2:05 p.m. CDT start.